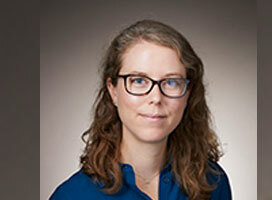 February 11, 2019 Amanda Michaud has joined the Department of Economics as an Associate Professor. Michaud completed her PhD at the University of Minnesota. Through the use of economic models, Michaud compares outcomes of policy changes in emerging economies with outcomes in developed economies. Michaud also focuses on understanding trends in labour force participation, including why people are dropping out of the workforce entirely, and why women are entering the workforce. Based on this, Michaud considers the impact of these trends in the business cycle and potential policy implications of these trends. In a recent paper, Michaud examined the disability risks - such as health risks - and economics risks - such as slow wage growth and the risk of losing jobs - of specific occupations. Men doing physical work, she found, face more disability and economic risks. Michaud is currently working on a project, funded by the United States Social Security Administration, looking at county level data to examine why disability beneficiaries are so geographically concentrated.